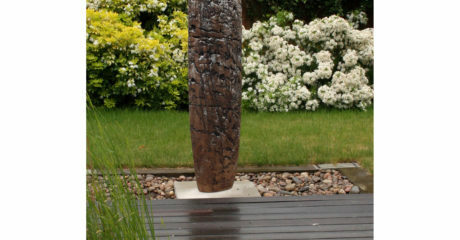 Katharina's work is about the simplicity of design and shape, bringing these in relationship to the surface. 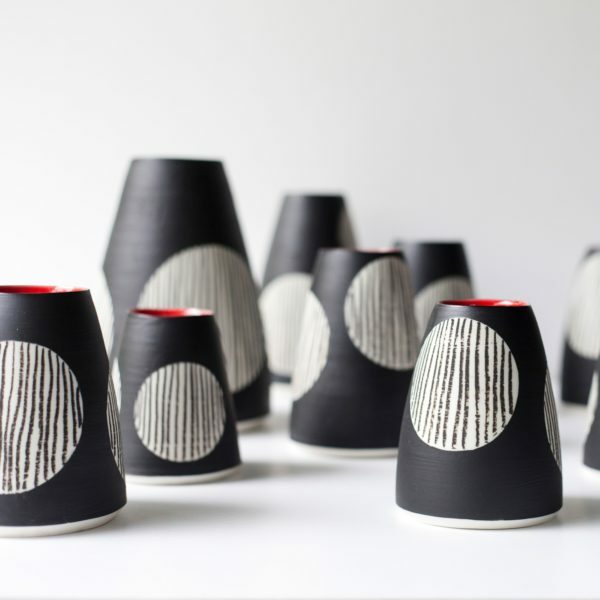 She is inspired by the elemental colour and shape of ancient Korean pottery. After the firing it is hard and durable and can survive centuries. But at the same time it’s fragile and can be broken into pieces in a moment. 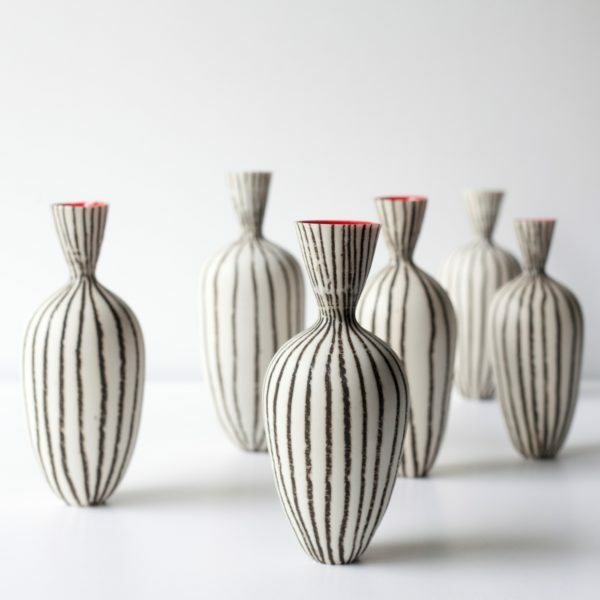 Her aim is it to create timeless vessels for contemporary interiors. 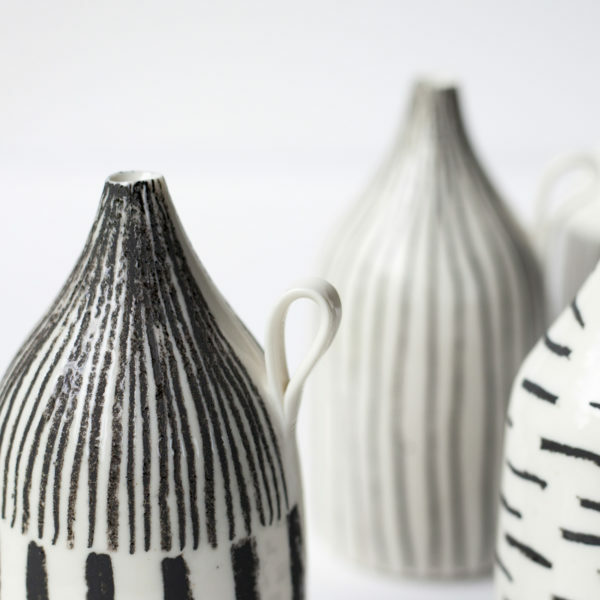 Each piece is individually made from porcelain on the potter’s wheel. Naïve, spontaneous pencil strokes, graphic simple patterns that create movement and direction. Every line is drawn by hand which makes the work preserve the moment of making. The imperfections in the pattern make it lively, rough and immediate and unique but still holding an order or direction to bind them together. The narrative to Katharina's work is coming from little snippets of observation in her environment. Lines jump out at her in almost anything – stripes on cloth, wires and cables, plants and grasses, architecture and streets, just to name a few. 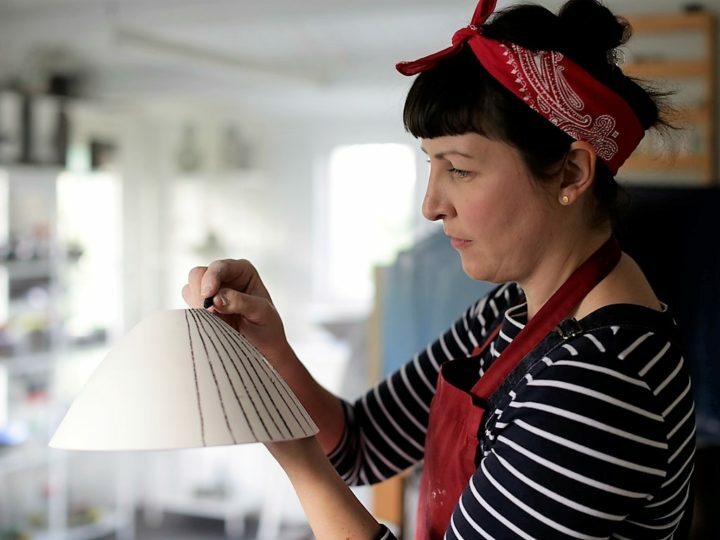 After growing up in her mother’s pottery business, Katharina trained professionally at college in Austria and Germany for 6 years. 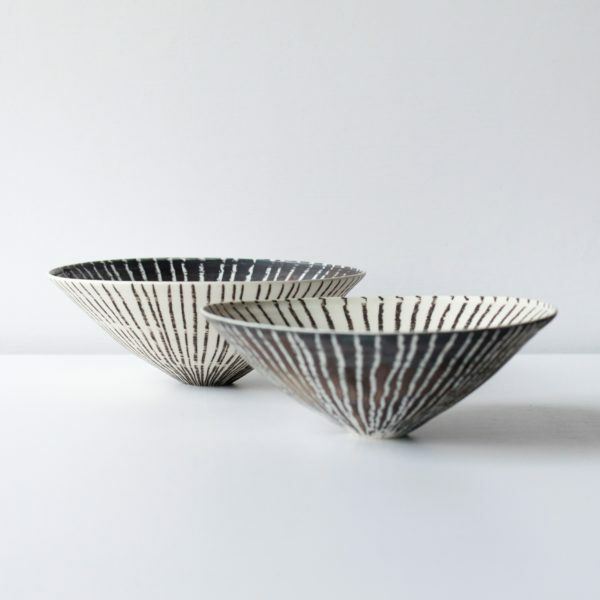 She set up business in Cambridge in 2011 and have been given the silver award 2013 and 2015 by Craft and Design magazine in the ceramic category. In 2014 she was chosen to join the Crafts Councils Hot House program. In 2016 she was accepted for selected membership of the Craft Potters Association (CPA). She has been shortlisted for the international Nasser Sparkasse Ceramic Price Westerwald/Germany. 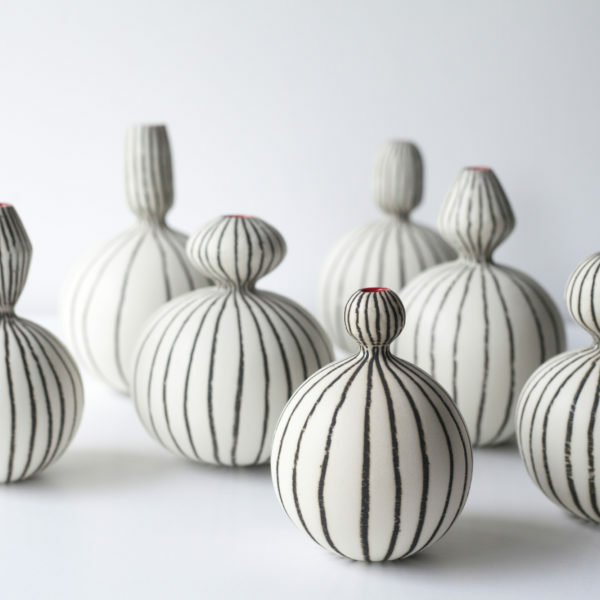 In 2017 she exhibited for the first time at Ceramic Art London. She also got an honourable mention for two of her entries for the International Ceramic Festival Japan. 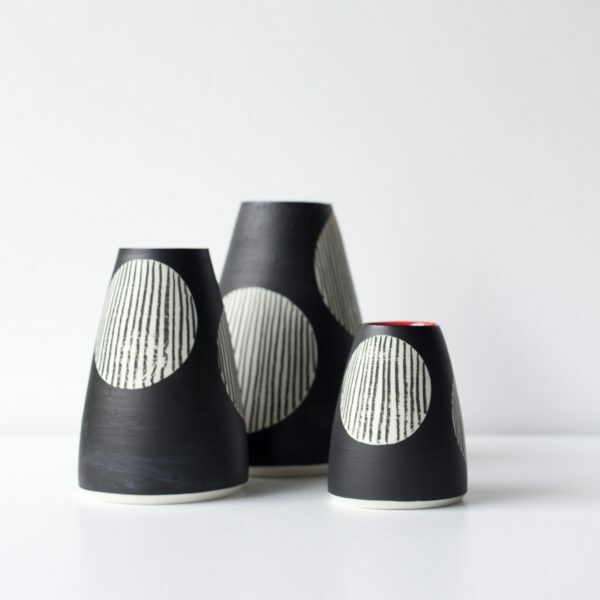 Her work was featured in the 289 issue of Ceramic Review for their Masterclass series in 2018.